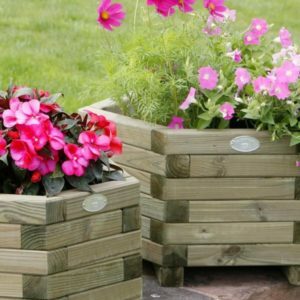 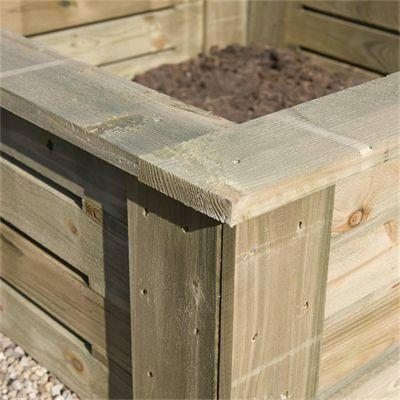 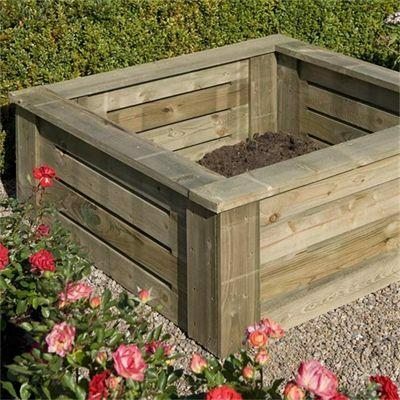 These raised planters can be used on hard standing or gravel driveways to provide a decorative display, or alternatively in a suitable garden position to provide herbs, salad or vegetable produce. 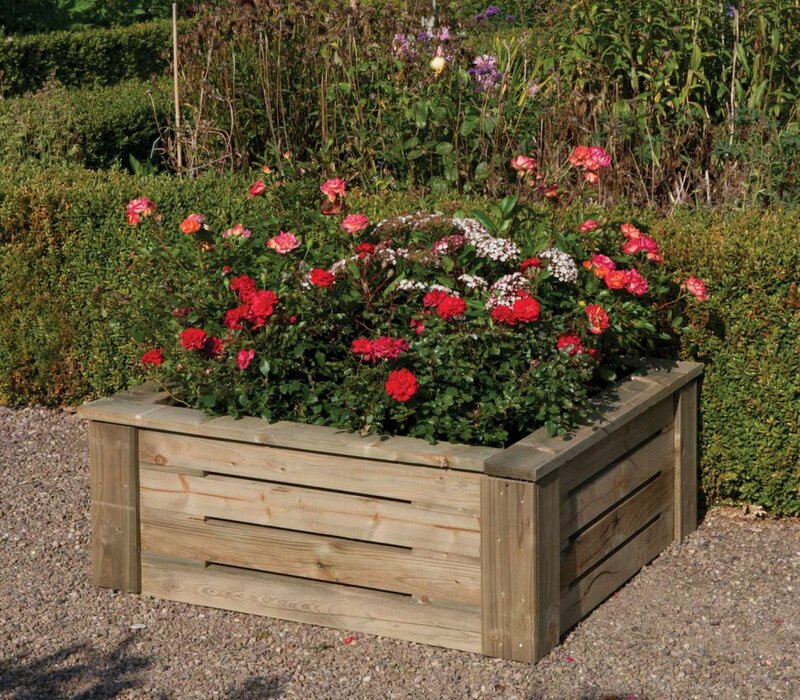 While this product is pressure treated against rot it can be protected further by applying extra treatment. 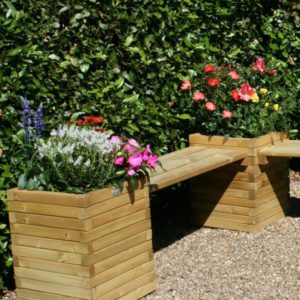 We would suggest a water repellent such as Osmo Natural Oil Woodstain. 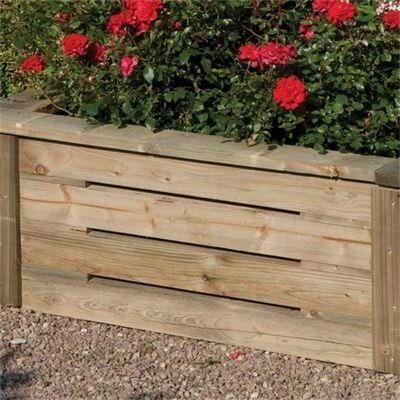 External Height: 360mm, Width: 940mm, Depth: 940mm. 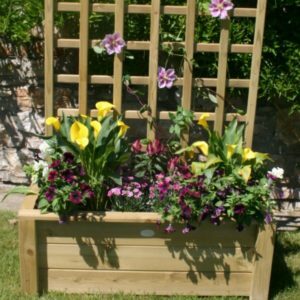 All Rowlinson’s Garden Products are supplied direct from their Cheshire Warehouse. 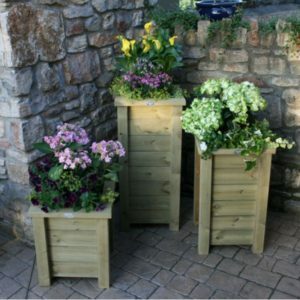 Therefore no Raised Planters are available for collection from our Devon premises.